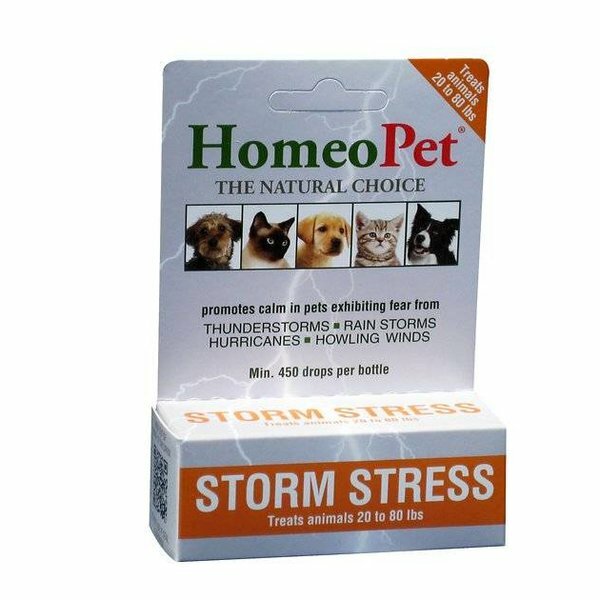 Enjoy the calm before, during, and after the storm with the HomeoPet Storm Stress for Pets under 20lbs. 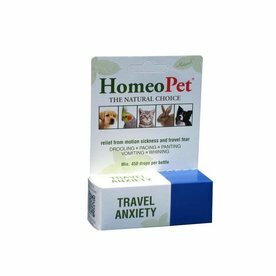 A safe and effective remedy for small pets, this homeopathic liquid eases the stress caused by thunder, heavy winds, or hurricanes. 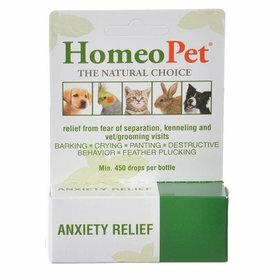 Homeopathic drops for use on dogs, cats, birds, and animals under 20 pounds to calm stress caused by storms. Helps reduce barking, whining, pacing, panting, hiding, cowering, vomiting, destructive behavior, and running away.